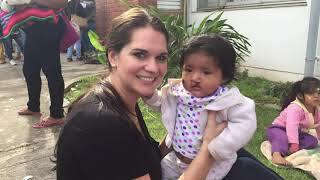 Cydcor and Operation Smile have made a difference in helping to change the lives of hundreds of children suffering from cleft palate and cleft lip. Cydcor has partnered with Operation Smile for over six years, raising funds and spreading awareness to help children facing medical difficulties. Operation Smile is one of the oldest and largest volunteer-based organizations dedicated to improving the health and lives of children worldwide through access to surgical care. Since 1982, Operation Smile has developed expertise in mobilizing volunteer medical teams to conduct surgical missions in resource-poor environments while adhering to the highest standards of care and safety, and has provided hundreds of thousands of free surgeries. “Cydcor has used its reach to introduce how individuals can help somebody else half way around the world, who will never remember their name but will never ever forget their kindness,” says Dr. William Magee, Jr., Operation Smile Co-founder and CEO. Through medical missions to the Bolivia, the Dominican Republic, Guatemala, Mexico, and Brazil, Cydcor volunteers experience first-hand the magic that a free surgery can do for a child in need. “Our business is all about giving back and it’s about becoming a servant leader to your people. That’s exactly what we’re doing for Operation Smile. We’re developing our people and the future of this company to be a servant leader in our business and our community,” says George Papalexandratos, an Operation Smile ambassador for Cydcor. Cydcor’s fundraising totals for Operation Smile have been primarily achieved through the annual Day of Smiles event which includes a variety of fundraising efforts across the US, Canada, and UK. Cydcor plans to hit the $1 Million fundraising milestone by the end of 2016. Cydcor most recently held a Day of Smiles events on June 25th and June 28th of 2016. The partnership between Cydcor and Operation Smile has changed the lives of many, and will do so for years to come. Through additional medical missions and fundraising opportunities, children will continue to receive the treatment they need to have a smile they can call their own.